POMONA – Alcott Elementary School teacher Cindy Yuen is among 100 elementary school educators from across the nation selected to receive a scholarship that will strengthen instruction of science, technology, engineering and math (STEM) and help her integrate engineering in the classroom. Awarded from the Museum of Science, Boston, the $200,000 scholarship program includes a complete classroom set of the museum’s Engineering s Elementary (EIE) curriculum materials, as well as tuition and travel support to attend a two-day, hands-on teacher professional development workshop at the museum later this year. Yuen, a third-grade teacher who has been at PUSD for 14 years, hopes to bring her newfound knowledge, skills and lesson plans to the school, which recently opened a hands-on STEM Center. The museum’s EIE program aims to introduce engineering and technological literacy in schools and lifelong learning centers nationwide. Many states have recently implemented new academic standards that stress engineering, a new subject for many elementary teachers. The program prepares teachers to teach engineering and technology effectively and reaches children who are underserved or traditionally underrepresented in STEM. In response to the national emphasis on STEM education, Alcott Elementary recently opened its STEM Center, a space for hands-on exploration that fosters student learning in science topics, as well as English languages arts. The facility is shared among the K-6 classrooms and includes two areas of learning – an instructional zone where students explore STEM careers and research topics and an interactive zone where students apply what they’ve learned through hands-on math and science activities using laboratory equipment. Once the program becomes more active, Arretche hopes to implement a cross-age buddies system in which older students work in conjunction with the younger students on collaborative projects. 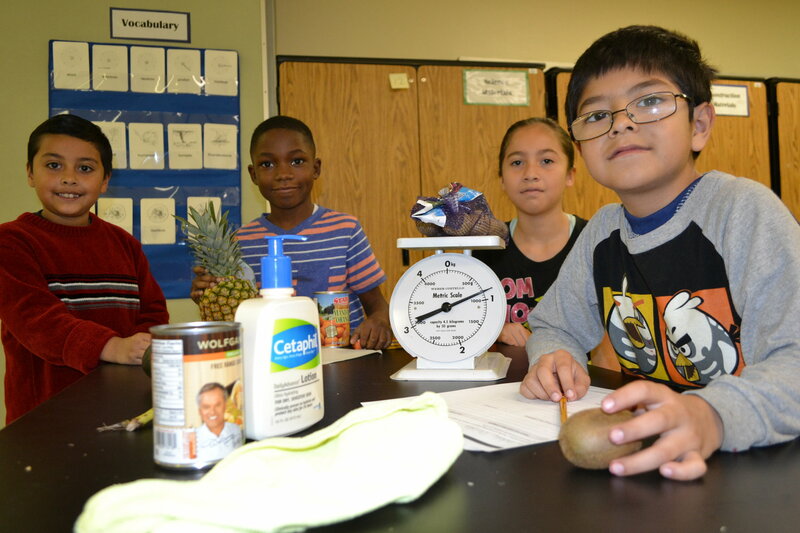 ALCOTTSTEM1: Alcott Elementary students in Cindy Yuen’s class weigh and measure items during a math activity in the school’s new STEM Center. Yuen is among 100 elementary school teachers from across the nation selected to receive a scholarship from the Museum of Science, Boston that will equip her with skills in teaching science, technology, engineering and math (STEM) and help her integrate engineering in the classroom. ALCOTTSTEM2: Cindy Yuen helps her class of third-grade students measure liquids during a STEM activity in Alcott Elementary School’s new STEM Center.